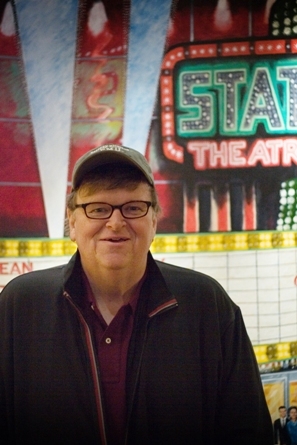 Oakland University will welcome acclaimed director, author and social activist Michael Moore to speak on campus in conjunction with the release of his new book, “Here Comes Trouble,” at 7 p.m. on Wednesday, Nov. 30. Moore – with Oscar and Emmy awards to his credit – is the director of numerous documentary films including “Roger & Me,” “Bowling for Columbine,” “Sicko” and “Fahrenheit 9/11,” the last of which became the highest-grossing documentary film of all time. Outside the realm of documentaries, he wrote and directed the hit comedy “Canadian Bacon,” and directed music videos for R.E.M., Rage Against the Machine, Neil Young and System of a Down. Moore’s presentation will take place in Meadow Brook Theatre on the campus of Oakland University. Interactive and printable maps are available at oakland.edu/map. Sponsored by Student Video Productions with assistance from WXOU and The Oakland Post, the lecture is a free, non-ticketed event with seating available on a first-come, first-served basis. A book signing will follow the lecture. For more information, call (248) 370-2400 or e-mail to csa@oakland.edu.